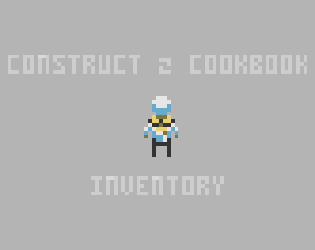 All in-game items are frames of a single sprite object. Items in the inventory are the same object type as the ones in play. Changing or adding items only needs to happen once. I think this will work with the free version, but I haven't actually checked, so let me know. I'm happy to answer any questions, and if there's any features you'd like to see added to this, or anything else I should do a cookbook page on, get in touch!